Mariana Roucha de Souza participated in the Skype with a Scientist program and spoke with students 11-17 years old at the Strutural School in Mogi das Cruzes, Brazil. Mariana Roucha de Souza spoke with students at MapleBear and Objectivo, two high schools in her hometown in Brazil. During her visit, she spoke to 25 students at Maple Bear and about 200 teenagers at Objetivo. The students were very excited, engaged, and interested in learning about coral reefs! Mariana also made a folder to be distributed to these schools. 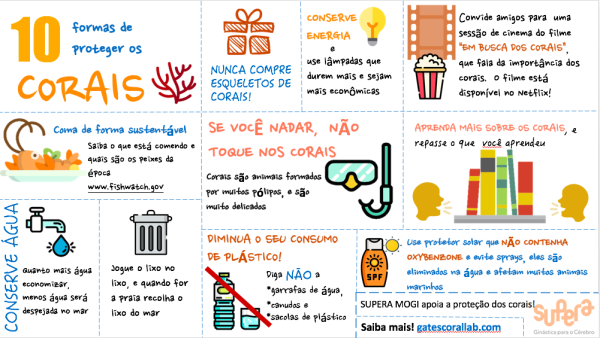 The folder talked about the importance of corals and listed 10 actions we can do to help protect coral reefs. 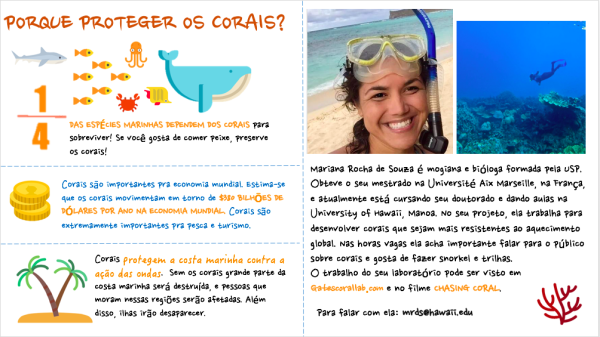 During her visit to Brazil, Mariana led a screening event of Chasing Coral at Universidade de Mogi das Cruzes, UMC. After the screening, she hosted a Q&A with the students. About 200 people attended the screening and were very engaged and interested in learning more. Mariana had great conversations with students and professors. Eighteen elementary students came all the way from Moorea, French Polynesia to visit HIMB and the Gates Lab! Chris Wall and Kira Hughes shared their previous research experiences in Moorea and how it compares to what we are currently investigating in Hawaii. 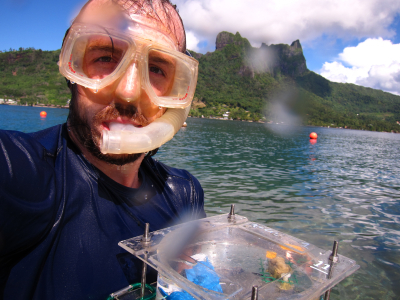 Chris Wall conducting ocean acidification research in Moorea, French Polynesia six years ago. 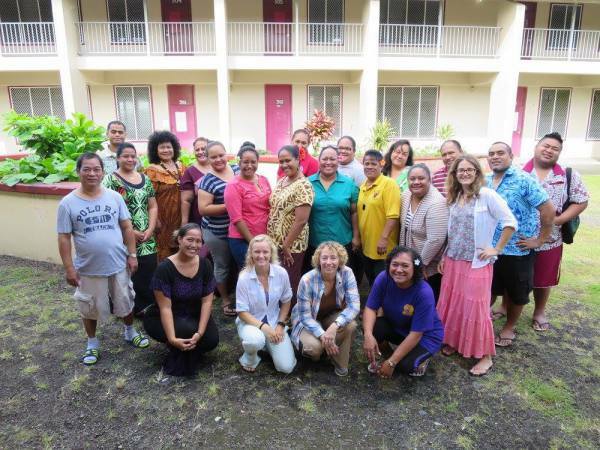 Gates and Lemus Labs PhD student, Ariana Huffmyer, travelled to American Samoa along with Dr. Judy Lemus of HIMB, Annick Cros of HIMB, and Dr. Samantha Stevenson of NCAR to present the 2016 Climate Science Teacher Institute workshop. This week-long workshop for American Samoan teachers focused on topics in climate science, the impacts of climate change on local communities, and how these concepts align with their curriculum and standards. The Gates Lab was visited by a collaborator, Dr. Tung-Yung Fan, and the Coral Reef Ambassadors, a group of dedicated and passionate students who traveled from Taiwan to learn about coral reef research and management in Hawaii. The Coral Reef Ambassadors and their tour guide, PhD student Ariana Huffmyer, spent a day at HIMB learning about the Gates Lab research and the techniques that scientists use to study coral reefs.